Scuba Diving can be said to give you a natural high. 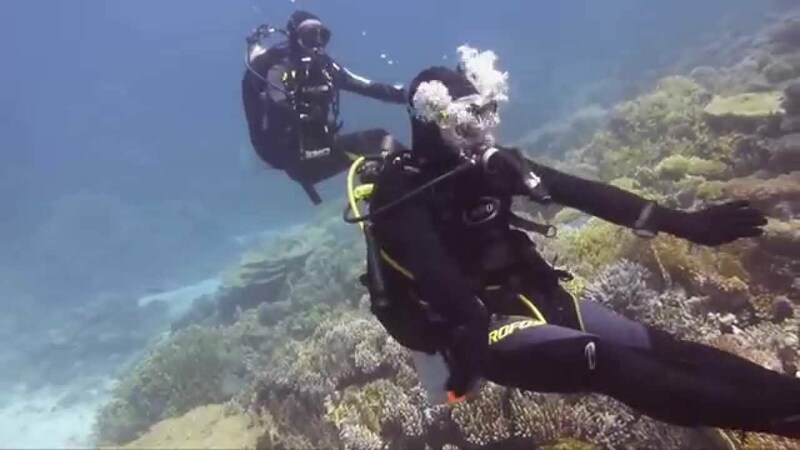 We call this condition Nitrogen Narcosis and it is a term that many of us are quite familiar with. Some of us too familiar with, I might say. Nitrogen Narcosis is a condition that results from breathing compressed air/air under pressure. Its effects are similar to those of being intoxicated by alcohol. Like being intoxicated by alcohol, everyone handles it differently. There are those of us who just become sillier and there are those of us who tend to react in a more dangerous way which has the potential to become even more dangerous underwater. What many of us don’t realize is that the symptoms of Nitrogen Narcosis can actually begin at shallow depths of only 6ft. So it appears that we are under the effects of Nitrogen Narcosis for most of our dives. However, these symptoms are not typically of serious concern until reaching a depth of 100ft. It all starts with a small tingling in the stomach. It’s like a little euphoria. A feeling that does not look anything abnormal, just a small euphoria. Little by little, that euphoria moves from the stomach to the brain. Suddenly, a small fish makes you feel as if you were facing the best encounter of your live. A sandy bottom seems the most beautiful scenery you have ever seen. You are happy. It’s the best dive you’ve ever dived! From that moment, everything can take different colors. You forget to check your air gauge or on the contrary, you look at it obsessively. It seems fun and safe to release the regulator and take out the tongue to your partner. When, late, you discover that you can not breathe without regulator, you realize that it is hanging on your back, you struggle recovering it because you are narced, thus it is not fun and safe anymore. It can happen too that you experience a terrible fear and decide to end the immersion. The variables of what can happen are very numerous and personal. So, as the story goes you always experience Nitrogen Narcosis when diving. However as pointed out in the scuba-legends.com post Nitrogen Narcosis doesn’t get worse. So once you are narced you cant get more narced. Fortunately once you return to a shallower depth the effects dissapear immediately and there is no known long-term damage caused by Nitrogen Narcosis. A group of divers from the Fraser valley Scuba Club near Vancouver used a decompression chamber to simulate the pressure experienced by divers in order to simulate the effects of nitrogen narcosis in a decompression chamber. The results are very apparent as seen in the following video.